Sound of Yell Live at Farbvision! 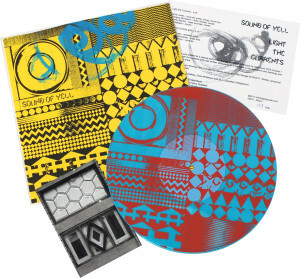 A new Sound of Yell record is coming out on July 7th as part of the delightful Infinite Greyscale 10″ singles club. 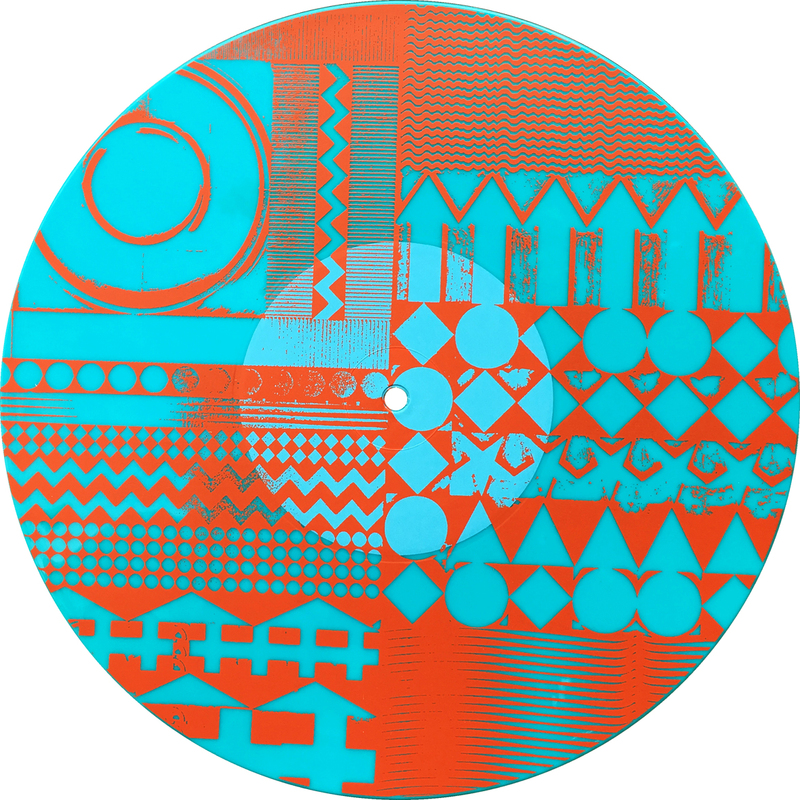 They’ve been releasing a series of remarkable one sided, screen printed, colour vinyl releases from artists such as Sound of Yell faves Holly Herndon and Mouse on Mars. They run the label out of their art gallery in Berlin and have 2 new releases, ours and Gajek’s up next. Check out their website for the full back catalogue. We’ve 2 new tracks on our audio side : Light The Currents (pt1 and pt2), featuring Vikki Morton, Georgina Mcgeown and Alex Neilson. 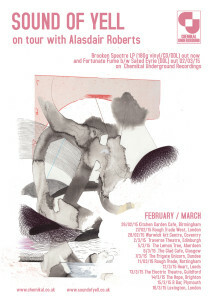 Dear friends Collective Endeavours with whom Sound of Yell have worked closely with over the years in countless contexts are hosting an exciting evening as part of The Tramway’s programme at Dance International Glasgow festival. The core duo of Jer Reid and Solène Weinachter are joined by a fluid and exceptional array of musicians and dancers with a strong improvisatory element. A special evening for sure. Seke Chimutengwende is also performing. April 30th at Govanhill baths. Outskirts festival returns to Platform with another excellent line up including Josephine Foster, Nic Green and Pester and Rossi among many others. 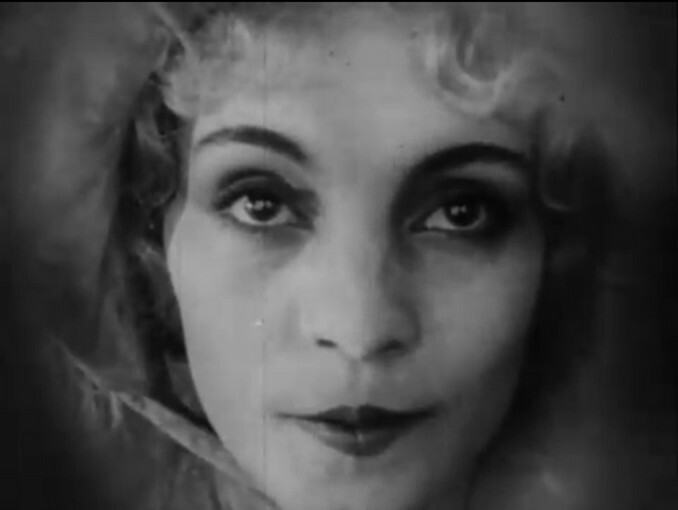 Sound of Yell will also perform their soundtrack to La Coquille et la Clergyman (The Seashell and Clergyman), Germaine Dulac’s pioneering silent surrealist classic. Outskirts is an all day event on sat April 22nd with running order TBC. 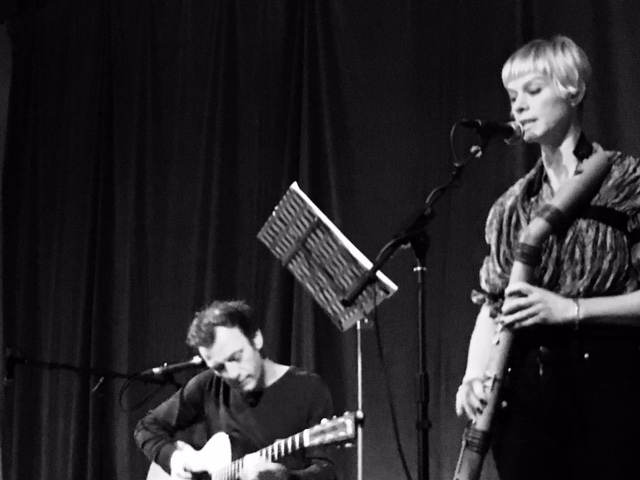 Sound of Yell will be out on the road once again in Feb/March with the Alasdair Roberts Trio, featuring Stevie (on double bass) and Alex Nielson, who will be performing songs from the new (and considerably critically acclaimed) album Pangs. 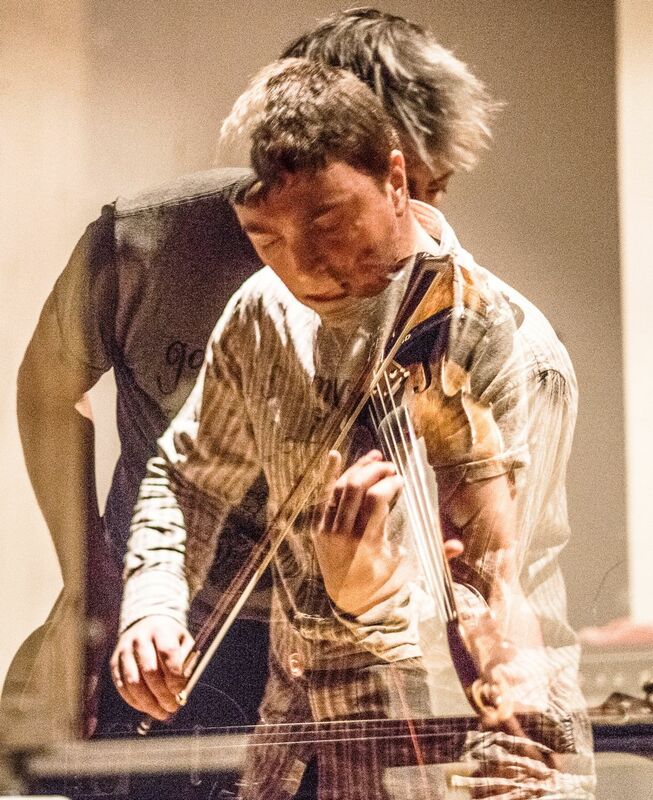 Sound of Yell will feature Ali and Alex too, and will perform as a 5 piece in London (at a sold out Cafe OTO show), Reading, Glasgow and Edinburgh. Aby Vulliamy will also be joining us at The Ropery Hall in Barton on Humber. Stevie’s old band, El Hombre Trajeado, a collaboration between Hubby, Stef Sinclair and Ben Jones have reformed, recorded a new album (released on Chemikal Underground 2/12/16) and are playing some shows (check poster for details) over the next couple of months. Stevie & Hubby have played loads together since the band disbanded in 2005 (?) but this is the first that the four have been back working closely since. The album features guest vocalists Chris Mack (James Orr Complex), Ela Orleans and Sue Tompkins (Life Without Buildings). The record launch will be at The Hug & Pint on Dec 3rd with Ela’s excellent viola & electronics outfit TRACT. 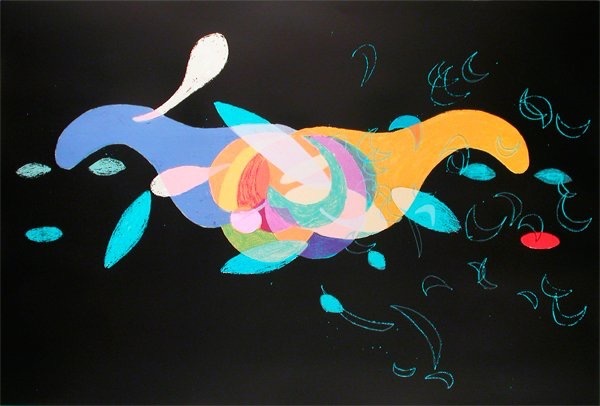 The DCA are showing a substantial and thoughtful collection of work by the inspiring artist, animator and musician Katy Dove throughout October and November. To see this show is absolutely essential and Sound of Yell are honoured to be playing an afternoon set on Sunday the 6th of November to mark this event. We’ll be playing as a trio, Stevie, Vikki and Georgie with steel string guitar, woodwind, chimes, percussion, vocals and electronics. Exhibition open from 11am – band on stage 2:30 prompt. 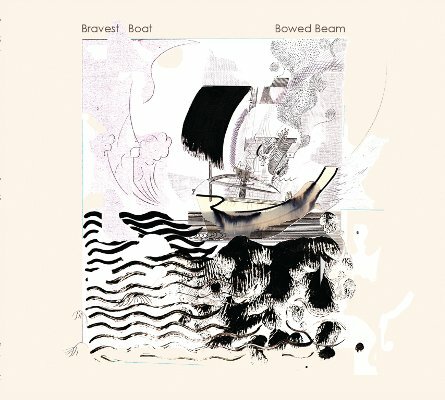 Bravest Boat – a group featuring Stevie, Aby, Rafe and Georgie from Sound of Yell, along with Jer Reid, Fritz Welch and George Murray have released an album on Shadazz called Bowed Beam. 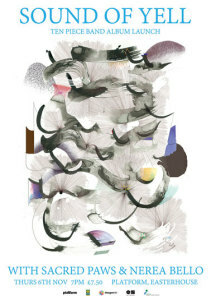 Structured improvisations and prepared spontaneity, it’s sits alongside the Sound of Yell stuff nicely. They are touring in May & June. 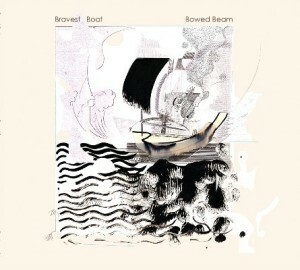 Details and more at the Bravest Boat website. Sound of Yell have written a new score for Germaine Dulac’s masterpiece The Seashell & The Clergyman to be performed at The Old Hairdresser’s as part of their extraordinary Glasgow International Fantom Salon programme. The screening will be on Sunday April 10th, part of a line up that will also see Ela Orleans premiere a score for Carl Theodor Dreyer’s Vampyr and Sven Werner/Graeme Miller/David Russon perform an audio visual piece for prepared piano. Sound of Yell’s score for The Seashell and Clergyman will be be played on bass flute, chimes, viola, clarinet, guitar and violin by Stevie Jones, Georgina McGeown, Rafe Fitzpatrick, Aby Vulliamy and Alex South. Dulac’s pioneering surrealist classic from 1926 will begin at 8:15 sharp! 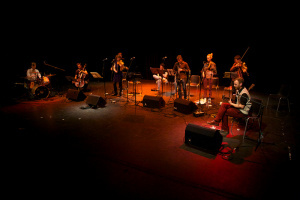 Sound Of Yell will be performing at Celtic Connections this January as part of The Glad Cafe’s programme alongside The Gowden Day Song Cycle. Gowden Day – a project of Daniel Padden & Wounded Knee (also feat. 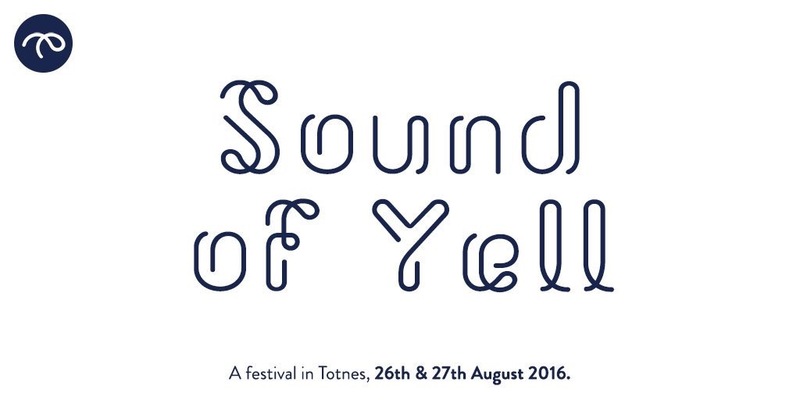 Greg Sinclair and Sound Of Yell players Stevie Jones & Alex South) will be headlining. 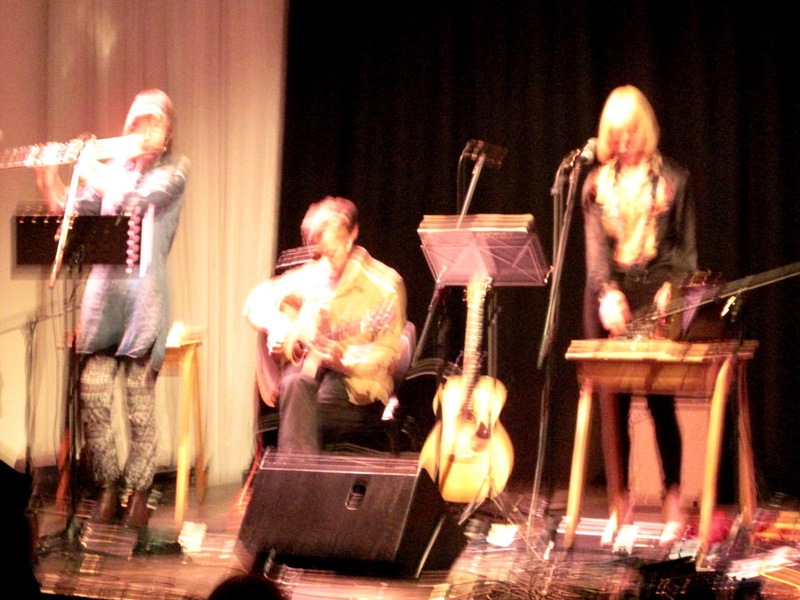 The Glad cafe’s excellent Celtic Connection line up will also include Sokabauno Puppet Company & Alasdair Roberts performing Galoshins on 24/01/16 and Douglas T Stewart and The Glad Cafe Choir singing the songs of Ivor Cutler on 22/01/16. Details of the musicians and instrumentation for the Sound of Yell set coming soon. 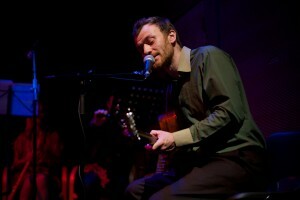 More on Celtic Connections at The Glad Cafe here. 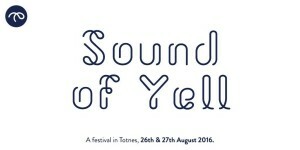 Sound of Yell will play three special shows with an affiliated project of Rafe Fitzpatrick’s at the end of October. Yng Nheredigion is an ambitious multi media piece conceived by Rafe and realised with his band Pulmunon 70, a group featuring Stevie on Moog and double bass, Jer Reid on electric guitar and harmonium and Mickey Truswell on drums. 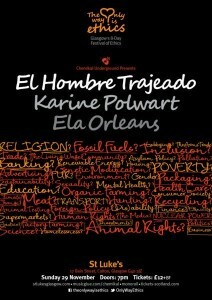 It features film, animations and a narrative that explores Rafe’s relationship with his homeland. Stevie and Rafe will also perform a Sound of Yell duo set. The venues for these shows include the stunning Ceridigion Museum in Aberyswyth and Small World Theatre in Cardigan. Stevie will be playing a couple of short sets at Butterfly Rammy, the Common Weal’s Edinburgh Fringe residency at The Stand in The Square, St Andrew’s Sq. The early afternoon show (12:20) on August the 9th will be based around the scots term DOUR and will also feature talks and performances from Sarah Beattie-Smith, Tam Dean Burn, Brian Logan and Pauline Goldsmith. 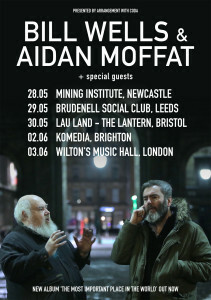 There’ll be a string of Sound of Yell shows, opening for Bill Wells & Aidan Moffat on their ‘The Most Important Place in the World’ tour at the end of May. (Stevie’ll also be playing some upright bass during Bill & Aidan’s set.) 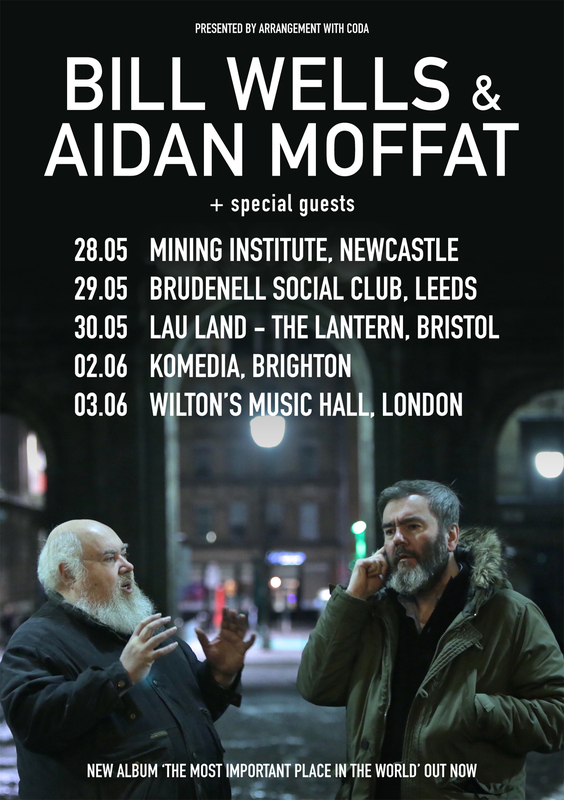 There’ll be opening solo Sound of Yell sets at Brighton’s Komedia (June 2nd) and Wilton’s Music Hall in London (June 3rd) and duo sets at Newcastle Mining Institute (May 28th) and Leeds Brudenell Social Club (May 29th). 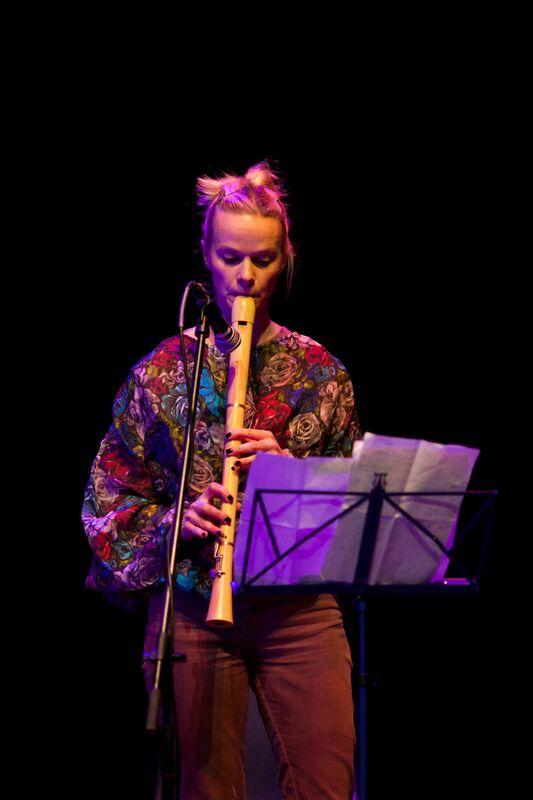 Aby Vulliamy will be playing the duo sets on vocals, viola and saw. reforming to play the same night of June 24th are the mighty Prolapse. 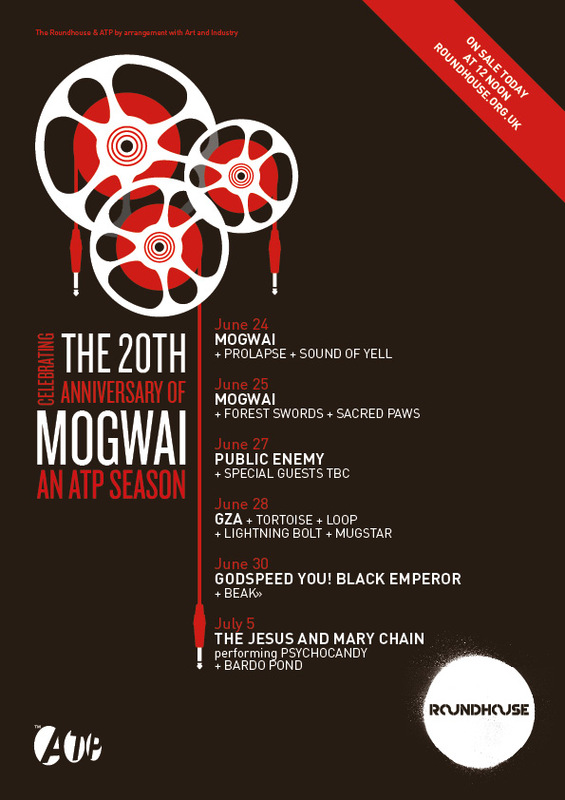 The gig is part of an incredible mini festival featuring Public Enemy, The Jesus and Mary Chain, Sacred Paws, Lightning Bolt and Tortoise among many others. 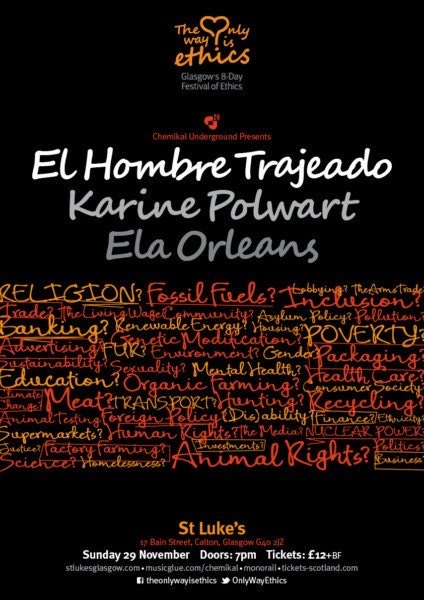 Click poster to enlarge. Chemikal Underground are releasing a new Sound of Yell DDL single on 02/03/15. “Fortunate Fume” is a brand new track featuring 4 part close harmonies, woodwind, strings, drums and percussion alongside Stevie’s finger style guitar. Many of the musicians that contributed to the album “Brocken Spectre” are again featured; Vikki Morton, Kim Moore, Alex Neilson, Aby Vulliamy, Georgina McGeown and Alex South. Fortunate Fume is b/w Sated Eyrie taken from the debut LP that came out last November. 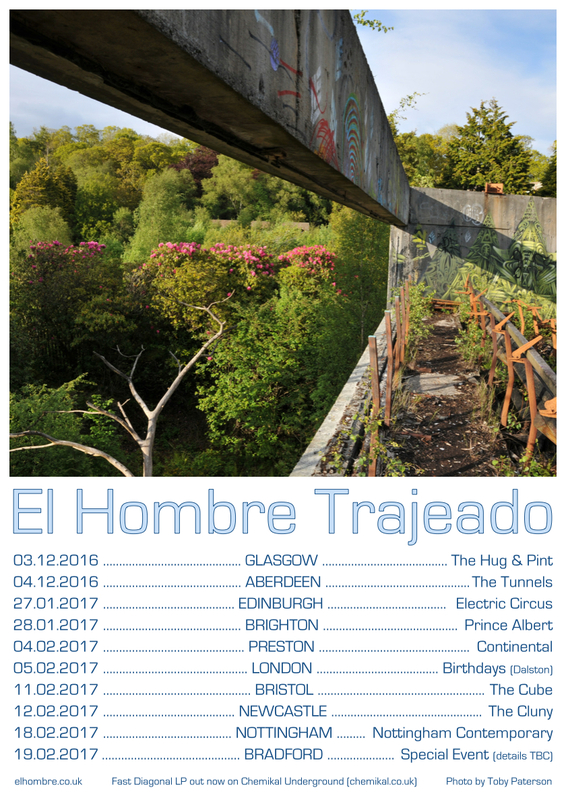 In addition to the dates with Alasdair Roberts in Feb/March, two in store shows have been added to the tour. Stevie will play Rough Trade West in Covent Gardens on Feb 27th at 6PM London and Rough Trade Nottingham on Mar 11th at 7PM. Note that Ali R won’t be playing these shows! Stevie will be touring England and Scotland in February and March playing a solo Sound of Yell set supporting frequent collaborator and Sound of Yell contributor Alasdair Roberts. Stevie will be playing a Sound of Yell solo set on a couple of shows supporting his old band mate, collaborator and life long friend, RM Hubbert. He’ll be playing alternative arrangements of some of the Brocken Spectre tunes on acoustic guitar, moog, tapes and tabletop guitar. The shows are at The Caxton Arms in Brighton on Nov 29th and The Lexington in London on Nov 30th. Sound of Yell will be performing at Cowane’s Hospital on 27/9/14 with Emma Pollock and Rick Redbeard as part of the Stirling Fringe Chemikal Underground night. 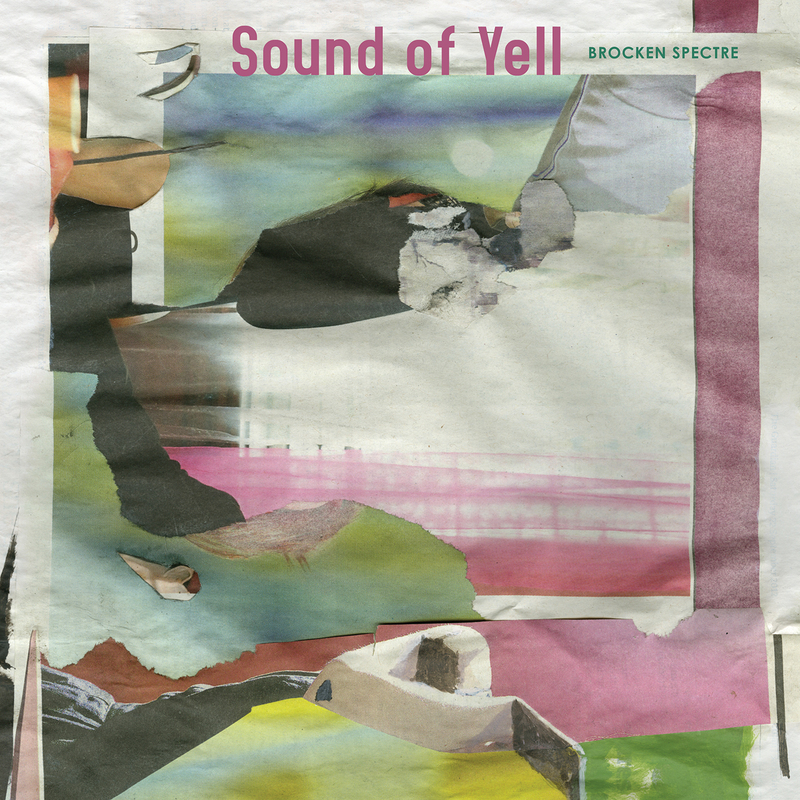 The Sound of Yell debut album Brocken Spectre will be released on 17/11/14 on Chemikal Underground. CD/180g heavy vinyl and digital download. To mark the release, we’ll be playing 2 launch nights at Platform in Easterhouse, Glasgow and The Vortex Jazz club in Dalston, London as a 10 piece band. There’ll be two Sound of Yell related shows at The Scottish Storytelling festival this autumn as part of their Storytelling Festival. Hirta Songs, a St Kilda song cycle will be performed by Alasdair Roberts, Stevie Jones and Rafe Fitzpatrick on Mon Oct 27th. Then on Sat November 1st Rafe Fitzpatrick, Stevie Jones, Jer Reid and Mikey Truswell will perform Rafe’s composition Ceredigion .